in teaching, consulting, marketing, design, speaking and more. Animiz is a kind of free animation software like GoAnimate that can make it possible to produce an interactive video. 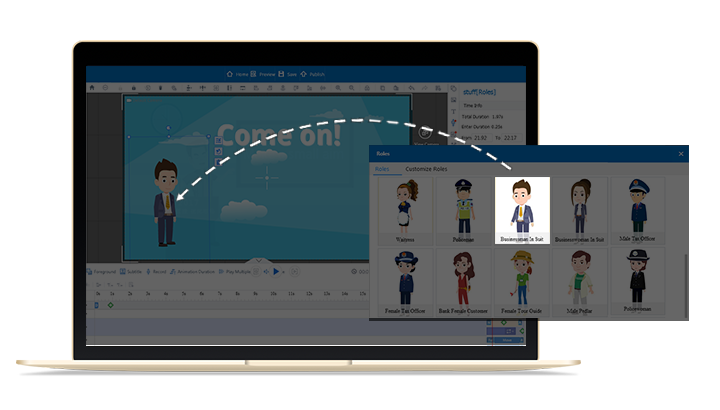 With this application, everyone has the ability to create an animated video with online template, PPT file or directly start from a new empty project. What's more, there are a variety of pre-designed scenes offered to promote your video creation work. So, during your design, you can pick the preset scent suitable for your topic, and then replace the content with your own multiple media. Of course, you are allowed to create blank scene to build up your work completely. It is so easy to operate a video creation project in the Animiz. That's because there is a simple interface with which everyone can edit and customize their animation video even without any skills of designing and computing. It is a drag-and-drop interface, and every element in your videos can be dropped and dragged into canvas directly. Plus, you are able to edit every element's animation effect in timeline as well. What you see is what you get. You may want to emphasize or hide something in your animation video. Well, Animiz special label effects make the editing easy. There are four types of label effects including blur effect, spotlight effect, mosaic effect and highlighter effect. Choose one of them in accordance with your needs and make an advanced decoration to improve your animation video into a higher level. After highly editing and fully customizing, you can go ahead to publish your video. 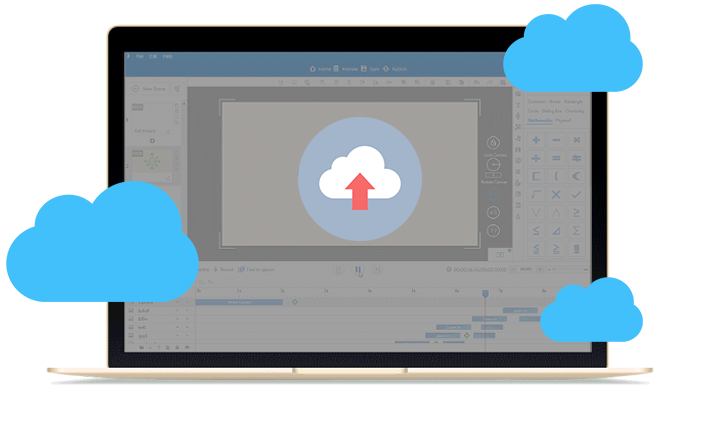 With Animiz, you are able to publish your animated videos to the online Cloud platform for saving and sharing. For all the online videos, you can set the customization to keep them private on the Cloud, or choose to share them on those social media networks like YouTube, Facebook, Twitter, etc. 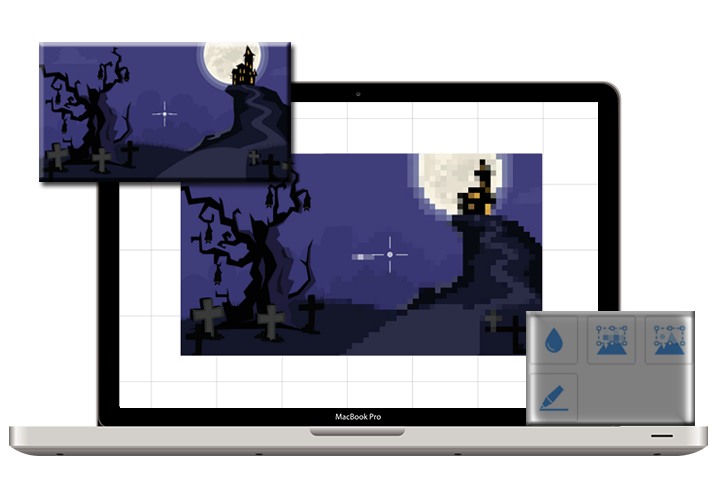 Start your animation video from a PPT file, online template, or a new empty project. create suitable transition effects between scenes to make your animated video play smoothly. Make use of label effect to make an advanced decoration for your animation video. Publish your video online or offline to store and view it flexibly. Share video artworks on social networking websites to make them expose to more people.